Drug trafficking from Florida into other states has become a commonly charged offense due to the increase of unlawful pain clinics and “pill mills” in the Sunshine State. Sometimes legitimate doctors unknowingly prescribe patients additional quantities of controlled substances they have already been prescribed, which can cause issues. If these people cross state lines with large quantities of controlled substances or numerous prescriptions, the doctors and patients both can be charged with drug trafficking. Drug trafficking often is defined as the purchase and sale of illegal drugs, or the manufacture, delivery or importation of illegal drugs across state or national borders. Drug trafficking also can occur throughout the state, which means this offense can be charged as a federal offense, a Florida state offense or both. Both the federal charge and state charge carry severe punishments with prison time, fines or both. 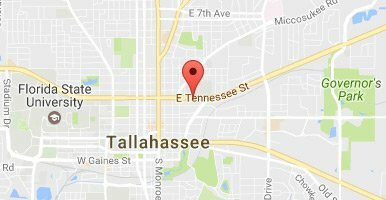 A drug lawyer in Tallahassee can help. If you have been charged with drug trafficking in Leon County, it is important to hire an attorney who will seek to reduce your charges or have them dismissed depending on the facts of your case. The attorneys at Pumphrey Law are experienced with drug defense and Florida Drug Trafficking laws. Pumphrey Law represents clients charged with crimes in Leon County and the surrounding areas throughout Florida’s Second Judicial Circuit including Bristol in Liberty County, Crawfordville in Wakulla County, Monticello in Jefferson County and Quincy in Gadsden County. Call (850) 681-7777 for a free consultation. Florida Statute § 893.13 states anyone who delivers or sells a controlled substance can be charged with drug trafficking. If a person travels from another state into Florida, while in possession of a controlled substance, he or she can be charged with drug trafficking as well. The severity of drug trafficking charges typically is based on the classification of the seriousness of the drug. For example, trafficking marijuana could have less severe penalties than trafficking hydrocodone. However, the amount of the drug in the person’s possession also could affect the severity of the charges. If the amount of drug possessed was small, an attorney could argue you were not trafficking the drug and that it was for personal consumption only. A Tallahassee drug defense lawyer can help fight to have the charges reduced to possession of a controlled substance or have the charges dropped. Under section 893.03 of the Florida Statutes, controlled substances in Florida can be classified from Schedule I to Schedule V, depending on the potential for abuse and whether it has accepted medical uses for the substance exist. Schedule I drugs have a high potential for abuse and no acknowledged medical use in the United States. Examples in this schedule are GHB and heroin. Schedule II drugs have a high potential for abuse and a very limited accepted medical use in the United States. Some examples of the controlled substances are cocaine, Oxycodone and Codeine. Schedule III drugs have a lower potential for abuse and have accepted medical uses. Examples in this schedule include barbituric acid and anabolic steroids. Schedule IV drugs have an even lower potential for abuse than Schedule III drugs and have commonly accepted medical uses in the United States. Schedule V drugs have the lowest potential for abuse and commonly accepted medical uses in the United States. The penalties for drug trafficking in Florida are unique to the offense. Florida Statutes § 893.135 outlines some of the possible penalties for the offense, based on the type of drug trafficked and the amount. A conviction for drug trafficking in Florida can be a felony, depending on the amount trafficked, the type of controlled substance and whether death or serious bodily injured occurred as a result of the offense. Generally, a conviction for drug trafficking first-degree felony can include up to 30 years or life in Florida prison, depending on the offense, and up to $10,000 in fines. As the amount of the controlled substance being trafficked increases, penalties can increase, with mandatory minimum prison sentences and greatly increased fines. A capital felony incurs a death sentence, or in some cases, life imprisonment without the option of parole. Under the Controlled Substances Act (21 U.S.C. §§ 807 et seq. ), it is a federal offense to manufacture, import, distribute or traffic controlled substances with the intent to sell the controlled substances either across state borders, throughout the state or from a foreign country into Florida. If you have been charged with drug trafficking in Leon County, contact Pumphrey Law to discuss the facts of your particular case. An experienced drug defense attorney in Tallahassee can help you achieve the best possible outcome in your case and avoid severe penalties. The attorneys at Pumphrey Law have represented those accused of drug trafficking in Florida, and will aggressively fight your criminal charge. Call (850) 681-7777 for a free consultation.